Romance and chocolate have been linked for centuries. More than 1500 years ago, the Aztec ruler, Montezuma, believed chocolate was an aphrodisiac. Allegedly he would drink several cups of a hot chocolate drink known as “xocoatl” before visiting his harem to give him stamina. While I know nothing about Montezuma’s stamina (and don’t care to learn) I do know some excellent spots around the world that could inspire a bit of romance in anyone—and they come with chocolate shops. Heck, you might not even need the kisses. At the eastern edge of Germany, Elbe Sandstone Mountains’ Malerweg trail is one of the most picturesque hiking trails in Germany. 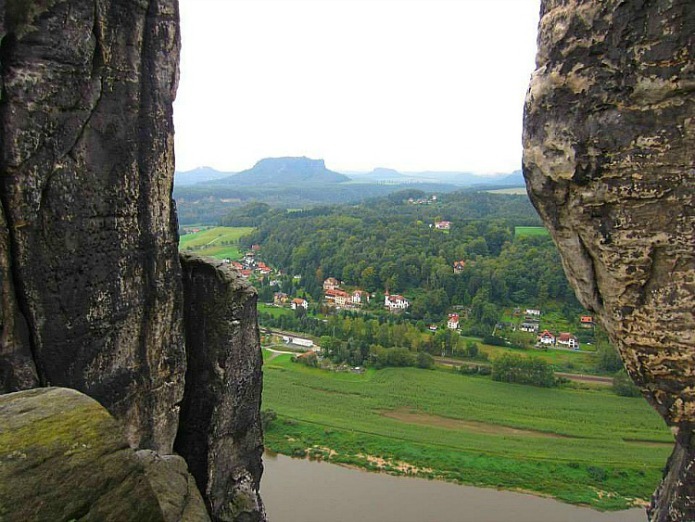 Often referred to as the Painter’s Way trail, the vistas from the table top mountains and narrow gorges perched above the Elbe River served as inspiration to the famous painters of German Romanticism. I’m betting you’ll find a spot or two along the way to steal a kiss. And in your wanderings along the trail, there’s an absolutely charming little chocolate factory, Adoratio. This organic chocolate factory takes its inspiration from nature—hand crafting extraordinary chocolates with all natural ingredients. Indulge in all the decadent chocolates in the quaint chocolate café surrounded by historical advertising. Or enjoy the chocolate delicacies on the sunny terrace with views of Thürmsdorf castle with its beautiful park. Seriously, what could be more romantic than sipping a cup of hot chocolate looking at a castle? Sometimes you happen upon a chocolate shop that is unspeakably charming, and that’s exactly what I found. There it stood at the water’s edge, a little brown converted boathouse – its rooftop sprouting grass – set against the dramatic backdrop of the Geirangerfjord. The sign read “Chocolate with a View.” They weren’t kidding. 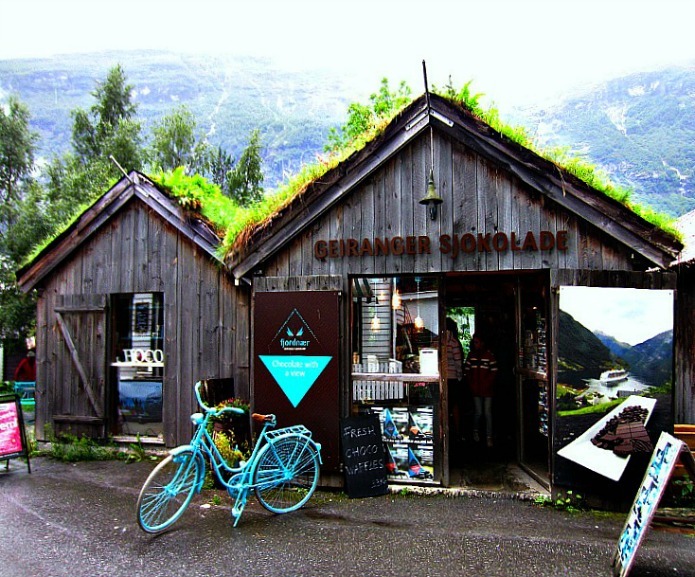 Geiranger Sjokolade produces decadent chocolates from local raw ingredients inspired by the Norwegian fjords and mountains. It’s not hard to find inspiration; just look out the window. Inside the delicious aroma of chocolate permeates the air. A spattering of three or four wooden tables and a nook with comfy sofas invite you and your sweetie to cuddle up with a cup of hot cocoa while you sample uniquely Norwegian flavors like chocolates filled with brown cheese, Arctic berries, and Aquavit – Norway’s liquid spirit treasure. The tasty chocolates, warm cocoa, and incredible views should be enough to inspire a bit of romance. If not, you can always keep an eye out for a Viking. In Lima, Peru’s colorful Miraflores neighborhood, ChocoMuseo is the place to go for chocolate. 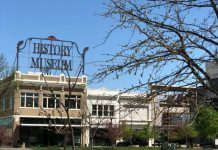 Part museum and part chocolate shop, ChocoMuseo offers an array of chocolate workshops the most popular being the “bean to bar” class that lasts about two hours. You’ll learn all the steps from the harvest of the cacao to the completion of a chocolate bar. 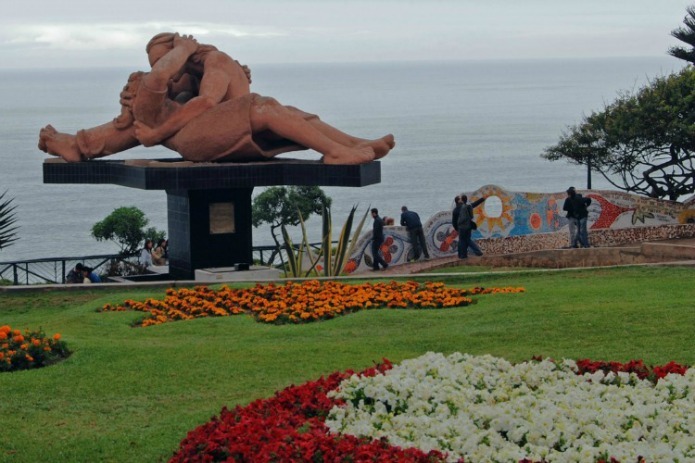 While you’re waiting for your lovingly created chocolate bars to harden, take a stroll in Parque del Amor (the Love Park) where you’ll discover quirky mosaic sea walls, colorful flowerbeds, towering palm trees and Victor Delfin’s famous sculpture “El Beso” (The Kiss). Overlooking the Pacific Ocean, the entwined kissing figures in the statue are said to be of the artist and his wife. “El Beso” was unveiled on Valentine’s Day in 1993 during the park’s inauguration. Now it’s the site of an annual kissing contest. The Miraflores Boardwalk runs along the shoreline overlooking the rugged coastal cliffs. Try your luck at paragliding or rent a bike and cycle along the coastline. Or, just try to mimic the kissing sculpture. 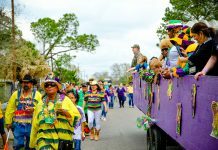 If your Valentine’s Day travels are limited to the USA, don’t fret. It turns out there is an abundance of kissing and chocolate in Hershey, Pennsylvania. 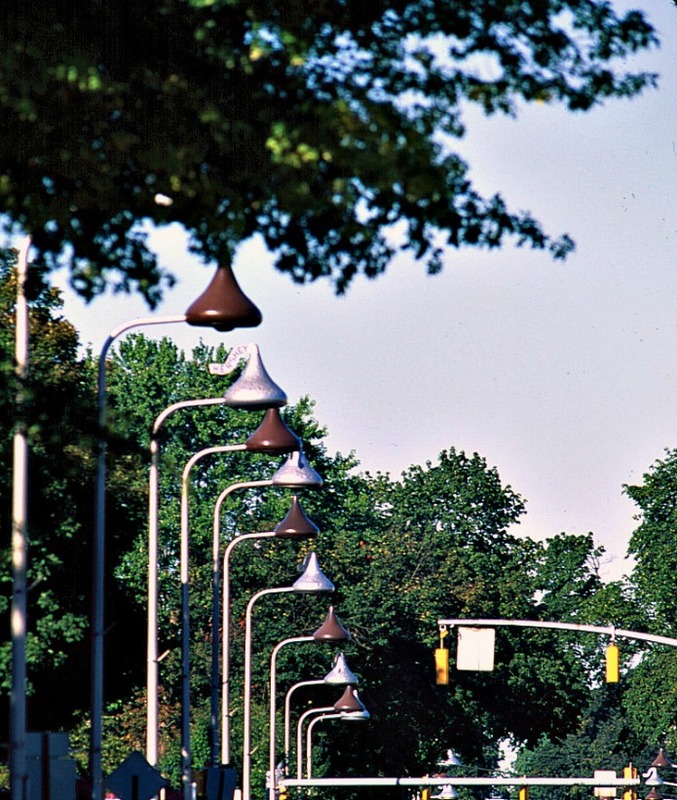 Even the street lamps are Hershey’s Kisses. The Hotel Hershey is home to the Chocolate Spa with a menu offering such treats at chocolate massages and facials. Chocolate martinis are plentiful in the hotel lounge. If that’s not enough to spark romance, casually stroll past the hotel jeweler with your love pointing out the chocolate diamonds on display. If you don’t get all the kisses you want from your love, you can always eat yourself silly with Hershey’s Chocolate Kisses…the only kisses enthusiastically endorsed by my grandkids! Next articleGive Your Pet the Best Treat, a Healthy Smile!..